Earl 'the Pearl' Strickland began playing pool at the tender age of nine and after much devoted practice he entered his first professional tournament at around age 15 turning full-time professional only five years later. Earl Strickland has many times won the prestigious Player of the Year Award and his illustrious career has included five wins at the U.S. Open 9 ball Championships - more than any other professional pool player in the world and three WPA World 9 ball Championships. In fact Strickland is the only WPA World 9 ball Champion ever to win this prestigious event two years in a row. He is also invariably invited to compete for the USA against Europe in the annual Mosconi Cup tournament. In fact it was in 1983 at Lake Tahoe that a victory first brought Earl Strickland into national prominence. At Caesars Palace Pro Billiard Classic in Las Vegas in 1984, Strickland was said to have played "like a polished gem." He was clearly becoming a dominant force on the tournament trail and recognized as a future world champion also very notable for his speed of play. Onlookers said he had the "skill, endurance, patience, temperament, and tenacity of which champions are made. 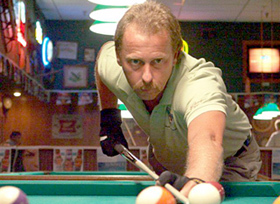 Because of his dominance, Strickland was named The National Billiard News Player of the Year in 1984.